Thank you for visiting! 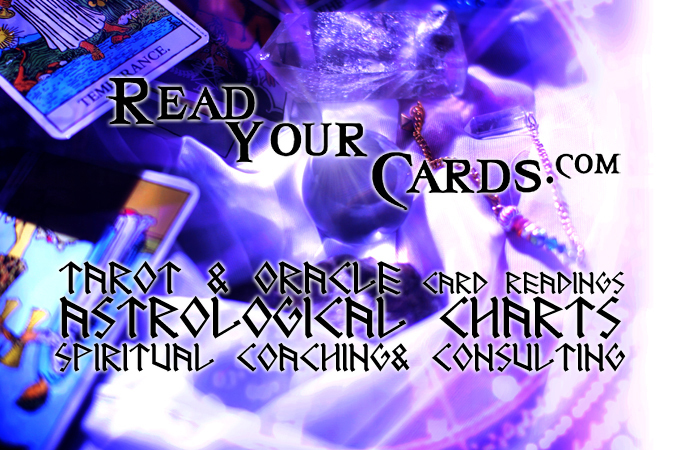 You will find a wide variety of mystical and spiritual consulting services offered here. There are lots of fun things to do…so brew a cup of tea and sit a spell while you get your fortune read with tarot cards, oracle cards, runes, pendulum dowsing, numerology, astrology charts, and other custom divination services. Be sure to click here to check out all the other mystical & magical things currently available too. Due to the fact that divine inspiration strikes in so many ways all the time there are always new things in the works here. As such, you may notice some areas of the site are currently closed or being updated right now as there are several new and exciting things being added! Thanks for your patience while we are making these changes AND moving into a bigger and better space. Be sure to bookmark this page and check back with us soon for all the new things to come!